When your closest sporting rivals are running a business with an annual team budget worth more than three times your own, then you need to be innovative in sustaining a challenge. And when it is in a cutting edge sport like Formula 1, then teams such as Williams Martini have to make sure every penny they spend is put to best inventive use. 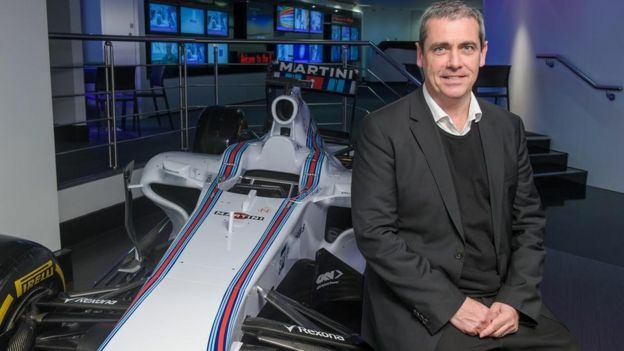 The UK-based team’s IT director Graeme Hackland says they spend about £100m ($154m) a year in F1, compared with what he says is Mercedes’ outlay of £300-350m, and Ferrari’s of £250-300m. But despite the spending disparity, the UK-based team, which has won the constructor’s table nine times, hopes that technology, rather than splashing cash, can help them close the gap. “We believe we can take them on,” the 48-year-old South African, who has worked in F1 for 18 years, tells the BBC. And Mr Hackland, who is in his second year at Williams, says that he has seen an improvement over the past 18 months, as the team has cut the lap time difference between itself and Mercedes from 1.6 seconds, to 0.8 seconds. 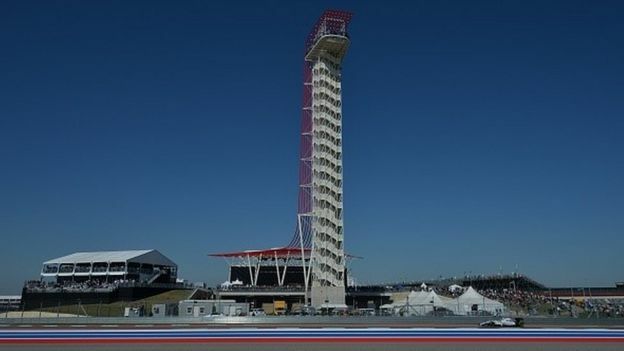 The team – preparing for this Sunday’s US Grand Prix – now has hopes of halving that figure again, and believes the power of technology, including working with outside experts, can help shave off further tenths of seconds. “The challenge is finding partners – those that have digital technologies that will help us get back to the front of the grid – to come and work with us,” Mr Hackland says. Whereas at one time an F1 team’s mechanics were armed with nothing more than a bag of spanners and an oily rag, nowadays there are dozens of team technicians, all keenly looking at banks of screens churning out a stream of race and car data. There are 200 sensors on the Williams F1 cars, pouring out information on things like fuel levels, oil, water, exhaust and tyre temperatures, as well as speed, engine revs per minute (RPM), clutch fluid pressure, and G-force. 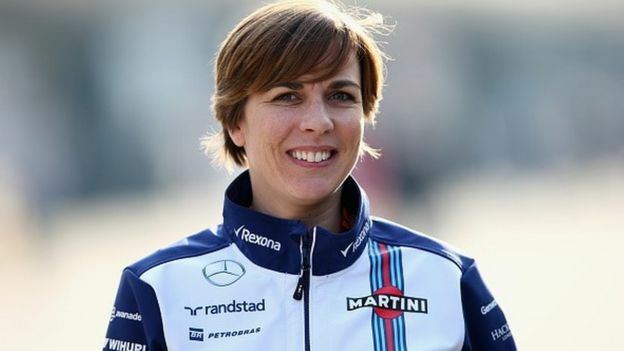 However, F1 regulations mean that there can only be a certain number of team members at race trackside, so Williams has teamed up with UK telecoms firm BT to improve the connection between its crew at the circuit, and its race operations centre back in Grove, Oxfordshire. Mr Hackland says each F1 race produces between 60 and 80 GB of raw data that needs to be sent securely, and analysed in real time, so that team managers can make informed changes that can improve car performance during practice and qualifying, and in the race itself. He says the BT connection, at a 100Mbps speed, provides Williams’ team members, wherever based, with “real time pit-stop practice data analysis, accelerated race video analysis, improved applications performance, and real time telemetry”. “The more people we can have back at our factory on race days, working on the real data in real time, the better,” adds Mr Hackland, who won the F1 constructors’ championship in 2005 and 2006 when he worked at Renault. It also means there has been huge difference in voice connectivity. Previously there would be a two to three second delay between trackside and the Oxfordshire HQ meaning that Williams team members with important contributions to make were not able to join in the conversation properly. “Now it is very natural, if someone wants to make a point – for example for a driver – they can do so,” he adds. Another technology area where Williams hopes to progress is with regard to 3D printing of F1 car parts. It is not alone in examining this technology, with Red Bull among others also taking part in this evolution. “When I first came into Formula 1 back in 1997 there were 3D printers,” says Mr Hackland. “Now, though, it is not just carbon fibre that can be printed, but metals and glass. We have just seen the first whole titanium bicycles, and there have been printed cars. Whereas at present it can take four days or more to ship a Williams F1 car part from the UK, to say, this weekend’s race in Texas, Mr Hackland says they are examining the possibility of taking a printer on the road to races. And, in a further bid to seek a technological edge when it comes to car construction, Mr Hackland says Williams is also looking at robotics, machine learning, and artificial intelligence in order to try and eliminate potential human errors. Meanwhile, back on the racetrack Williams is optimistic tech analysis will help solve some specific performance problems. “How do we make the pit stops better?” asks Mr Hackland. “We have established that for our first pit stop the wheel nut comes off slower than on our second stop. “It is not the fault of the pit crew. If that problem goes into next year, we are screwing up next season, so we need to get to the bottom of that. We also need to be able to detect things like this earlier. So, can Williams – who are keen to sign other technology partners – get into the top two spots in the constructors’ table next year? “”Nobody has got any illusions, getting into first or second is not going to be easy. But if I did not believe that I would not be here,” says Mr Hackland, who previously worked for the Lotus F1 team.